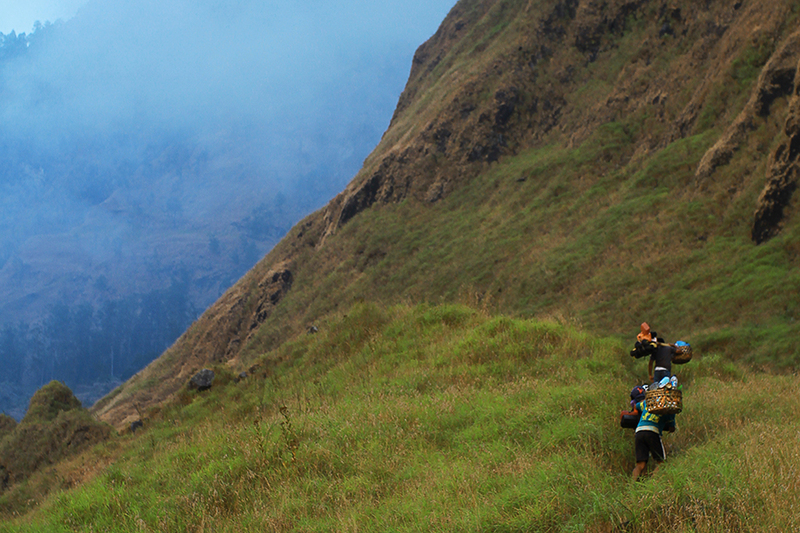 The porters negotiate their way through the Torean trail.. It was nearly midnight when we reached Senaru. Tonight we stay at our porter’s home. Suma and his little brother will come with us exploring Mount Rinjani for the next four days. Bale-bale in a Beruga – a traditional gazebo in Lombok people houses – in the front yard is our place to rest tonight. A short break, and should be utilized as well as possible, because in the morning we had to be ready to set off on foot up the hill through the Torean trail path..